Dr. Vincent “Vinnie” Pompei is the Director of the Youth Well-Being Project at the Human Rights Campaign Foundation. One of his primary roles at HRC is to chair Time to THRIVE, an annual national conference for educators and other youth-serving professionals to promote safety, inclusion and well-being for LGBTQ youth. Before joining HRC, Dr. Pompei served as President for the California Association of School Counselors and spent over ten years as a middle school teacher and high school counselor. He was an LGBTQ cadre trainer for the National Education Association and authored the LGBTQ section of the American School Counselor Association’s National Model. 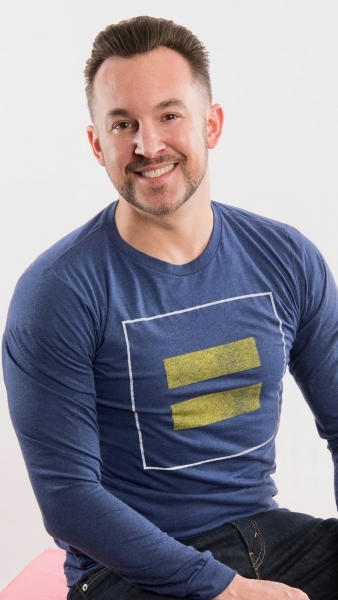 In addition, he was previously the Project Director for the Center for Excellence in School Counseling and Leadership, was a Chapter President for PFLAG and an Ambassador for The Trevor Project. In 2013 Dr. Pompei was also called to testify at a congressional hearing on school safety in Washington D.C. In addition, he was named one of the Advocate Magazine’s Top 40 Under 40, was honored by Equality California, and was selected by the National Education Association as a Classroom Superhero. Dr. Pompei holds two Masters Degrees in Education and a Doctorate in Educational Leadership.